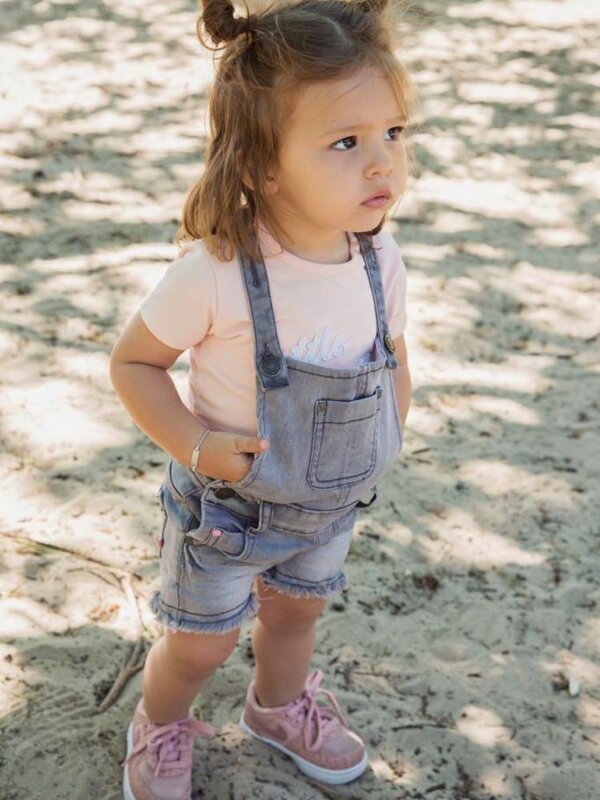 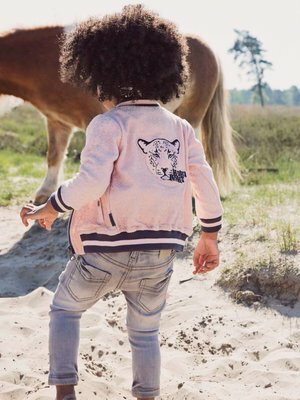 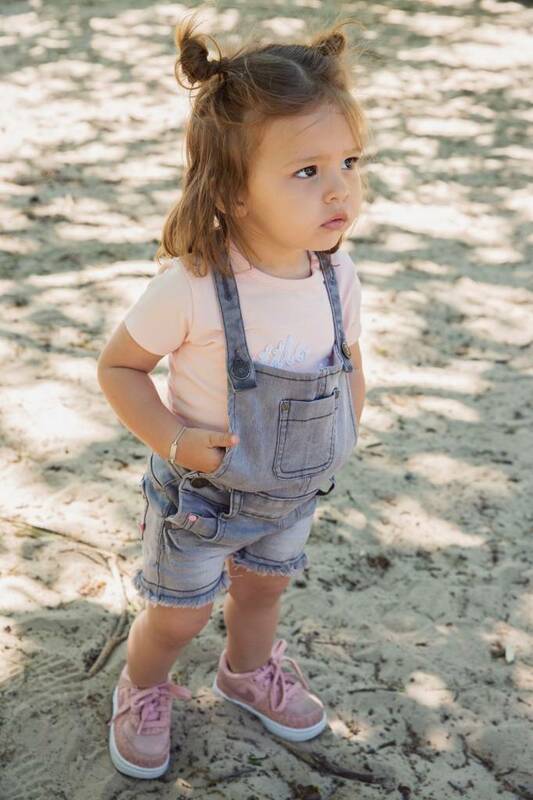 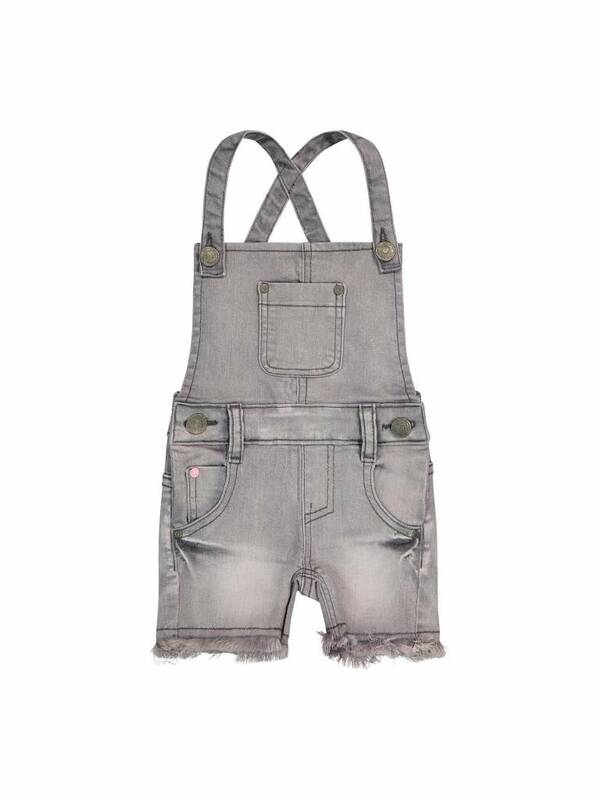 Girls dungarees in denim quality. The salopette is gray in color and is adjustable at the front. 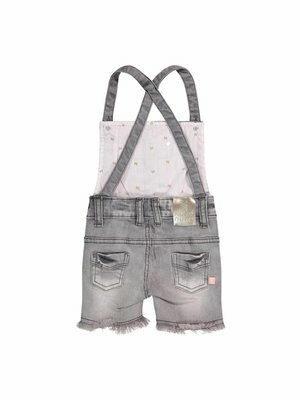 These girls dungarees in the color gray is a real eyecatcher!